I photographed this wild brown bear (Ursus arctos) cub from a hide in the taiga forests in east Finland, close to the Russian border. This cub was on its own and therefore very cautious. Large males have a tendency to kill the cubs, so they have every reason to be careful. 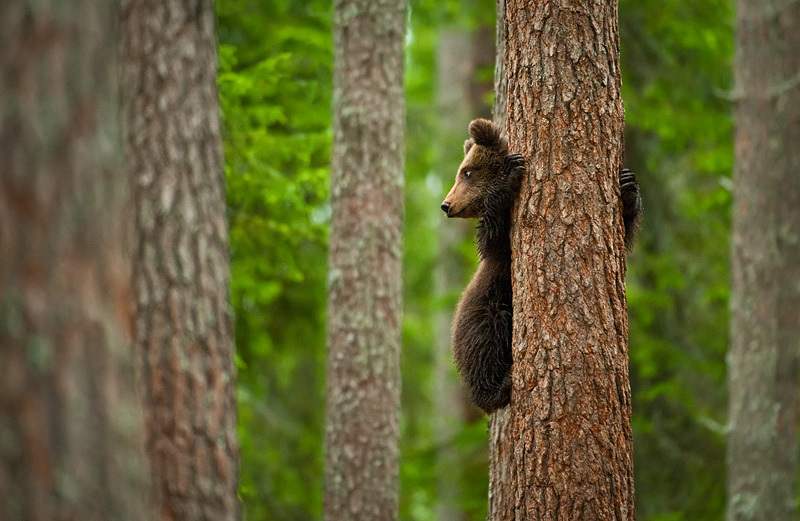 When the sound of a breaking twig moved through the forest, the cub rocketed up into the closest tree.